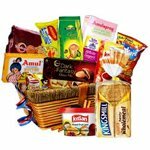 Website to send hampers to India. 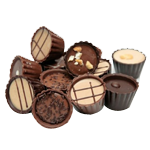 Be it fruits hamper or chocolates hamper or any corporate hamper, we deliver it all all over India. 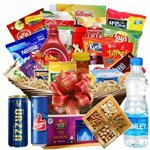 Online hamper delivery in India can be done within 1-2 days in top cities and within 2-4 days in all major cities and towns In India. 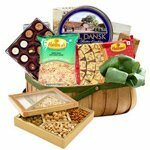 You can now send gift basket to India. 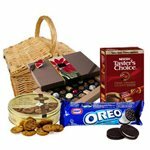 We deliver gourmet gift basket, birthday gift basket, fruit wine gift basket, fruit champagne gift basket, Christmas gift basket to India. 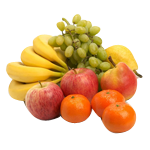 Order online for delivery in India. 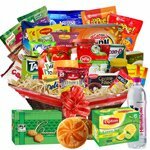 We offer quick and Free Home Delivery of hampers and gift baskets across India. 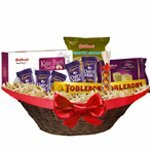 Gifts are something that everybody loves and especially Hampers are often gifted on all kinds of celebrations and festivals in India. 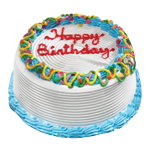 Gifting is the best way to spread happiness and joy among your friends and relatives who are living across India. 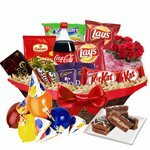 Send Gift Hamper in India to brings smile on your loved one’s face and can conquer his/her heart. 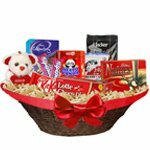 Let our online catalogue of Gift Basket speak the language of your love and if you are looking for Gift Hamper Delivery in India, then you have come to the most affordable and best gifting website. 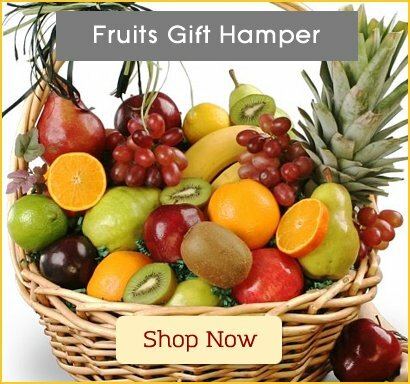 Our top-notch quality of Gift Hampers ranging from Fresh Fruit Hampers, Dry Fruit Hampers, Sweet Hampers, Chocolate Hampers, Confectionery Hampers, Gourmet Hampers to Beauty Care Hampers can be sent throughout India. 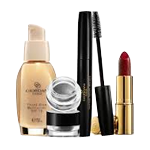 Deciding what to gift to your loved one when any occasion comes up, has never been so easy. 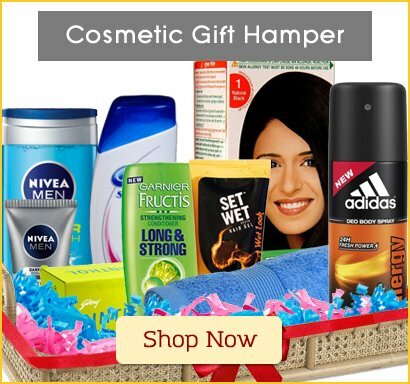 Our Gifting Portal helps you to send Online Gift Hampers to your loved ones in a hassle free manner anywhere in India. 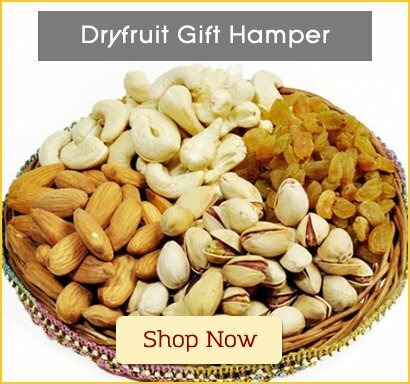 You can go through our Online Catalogue by product category or by occasion such as Mother's Day, Valentine's Day, Christmas, Rakhi, Diwali etc.and select the right Gift Hamper as per your choice and convenience sitting on a couch at home. 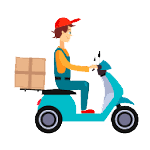 Our 24x7 Customer Service is committed to fulfill your order on time because we believe that 100% Customer Satisfaction and Timely Delivery are priceless and can inspire a customer for giving us the next order. 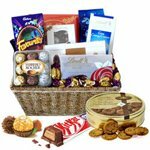 Gift Hampers are perfect for all occasions, and can be sent for holidays and all special days like Birthday, Anniversary or even as the Happy New Year Present. 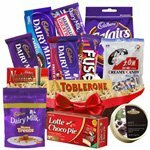 Online Gift Hampers to India can be a way to say Congratulations, Sorry, Thank You or Get Well Soon to certain people such as a great friend or a helpful mentor. 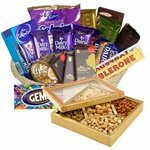 Sending Gift Hamper Online to India can save you an enormous amount of time and money. 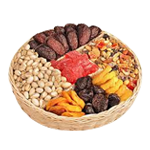 Exhibit your adoration to your dear ones in an elegant way and send several Gift Hampers and Gift Basket and make your dear ones cheerful. 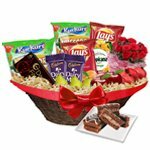 A special surprise Gift Basket Delivery in India can conquer the heart of your beloved as we Indians always love to receive a surprise Gift from a friend or a relative. 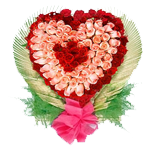 Due to the busy lifestyle that we lead now-a-days, it has become somewhat difficult to buy presents for our dear ones, especially on occasions like Christmas that comes once in a year. 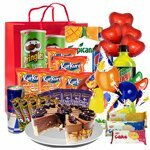 But how about a Gift purchasing experience where you not only get an opportunity to save time but also get to choose presents from a wide range of gifting items starting right from the classic Christmas Tree and Delectable Chocolate Cake Duo to the unmatched Combo of various Gift Basket Hampers. 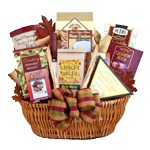 There is an array of Gift Baskets one can choose from, just by browsing our website. 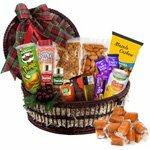 We even render Premium Online Delivery services such as, Same Day Delivery and Midnight Delivery, which assures to deliver Christmas Gift Basket Hampers on the right day, at the right place, to the concerned individual. 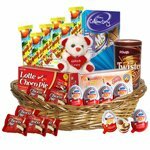 Just think about the expression of surprise and happiness that will come over the face of your loved ones, when they will receive Gift Hampers right at their doorsteps and at the right time. Don’t worry! 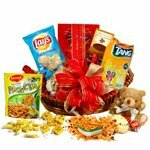 This is in fact incredibly easy to do as our specialized and professional Gift Hamper Delivery Service Network in India can make your wish come true. 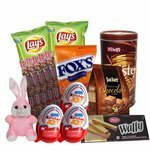 If you want to send a Gift Hamper to any destination in India at any specific time, just place your order and relax. 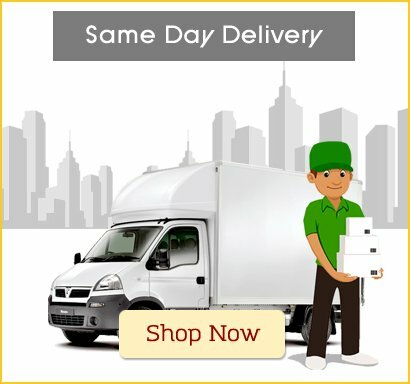 With our Same Day Delivery and Mid Night Delivery, services, your Gift Hamper will be delivered right on time.